While the French, The Cypriots and the Turkish navies are busy in simulating searching and rescuing distressed people in the seas, the navies of the Black Sea countries are continuing the April 2013 activation the BlackSeaFor. Interestingly the ships of the BlackSeaFor task force did simulated a search and rescue operation in high sea among themselves. The excellent Black Sea News has a very good posting about the Black Sea For. Also, during a training exercise on the transition from Varna to Constanta on the ships received a sudden opening of the command BLACKSEAFOR. At some point, every ship conditionally breaks down the steering, and crews conducted training on the transition from primary to spare and emergency management vehicles. 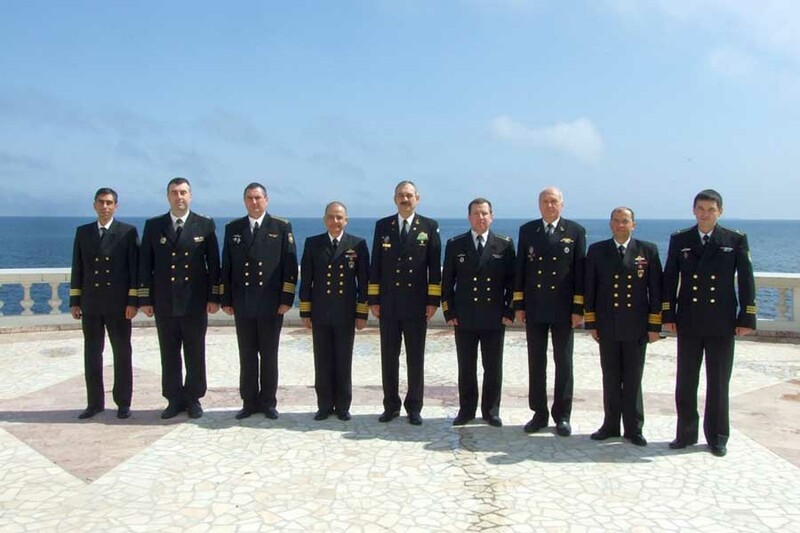 Here distinguished Ukrainian crew of sea trawler “Cherkasy”, commanded by Captain 3rd Rank Yuri Fedash. By his order on the ship was enhanced visual observation of the water area above the water with the help of all shipboard optical devices. Upon arrival to the area of ​​Ukrainian sailors first discovered the “victim” on the surface of the sea, and successfully lifted on board. At the end of the first stage of the exercise of sea ships Black Sea Naval Cooperation Task Group BLACKSEAFOR stopped to rest in the Romanian port of Constanta.